In an unexpected move, Norwegian Cruise Line this week announced changes to their 2019 and 2020 itineraries. The biggest surprise? The Norwegian Joy — specifically designed to cater to the Asian market — will be coming to America. Translation: There’s more money to be made by moving the Norwegian Joy to the Alaska market than there is in keeping her in China, a market which has proven more difficult for the cruise lines to penetrate than perhaps they originally thought it would. One thing that won’t change is Joy’s Galaxy Pavillion, featuring interactive video walls and simulator rides. And like Bliss, Joy already features a go-kart track and laser tag arena. After her initial Alaska season, Joy will then move to Los Angeles for runs to the Mexican Riviera and Panama Canal. All of these new itineraries will go on sale July 24. 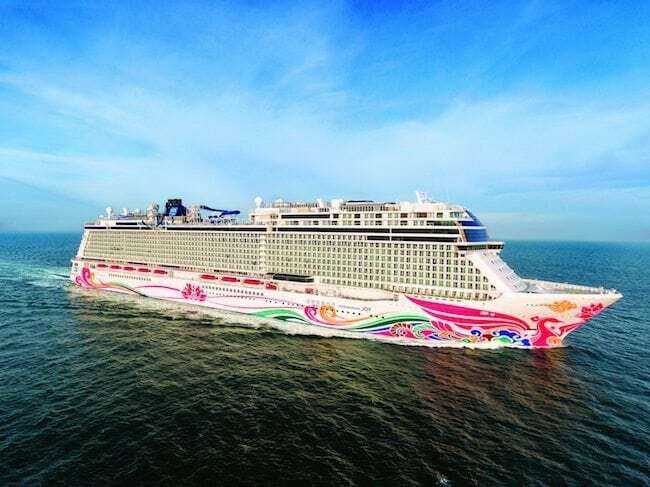 In other news out of NCL, the Norwegian Pearl — displaced by Joy’s arrival in the Seattle market — will relocate to Europe, doing several itineraries out of Amsterdam. She’ll also do Mediterranean sailings out of Rome, Barcelona and Venice. The Norwegian Jewel, after being refurbished in the fall, will return to Australia/New Zealand, Asia and the South Pacific for seasonal cruises out of a variety of ports. And the Norwegian Jade will do a season of sailings out of Southeast Asia, departing from Singapore and Hong Kong, in 2019 and 2020. Finally, the Norwegian Spirit — which will undergo a bow-to-stern refurb as the final ship to receive the Norwegian Edge refurbishments started several years ago — will head to Asia in 2020. Norwegian Pearl and Jewel’s new itineraries will be on sale beginning July 31, while those for the Jade and Spirit will go on sale August 6.